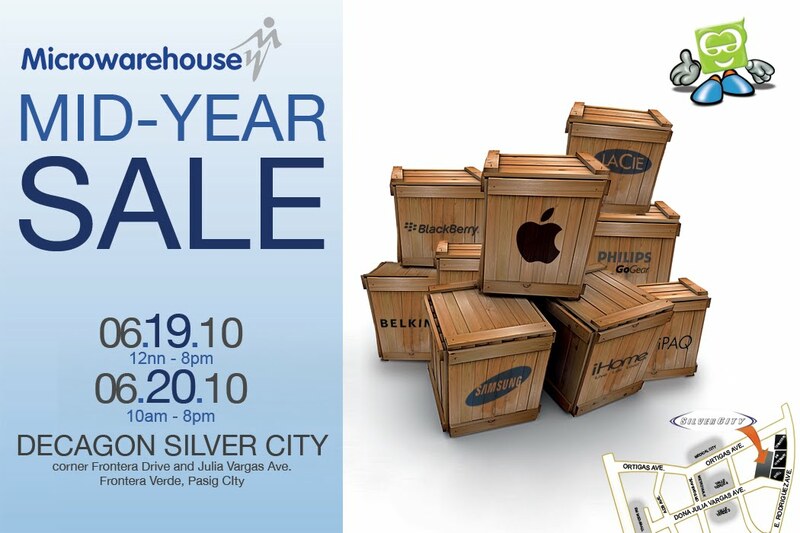 It's the time of the year when Microwarehouse throws you its usual mid-year sale of brands like Apple, Belkin, Lacie and more. Most of their products here are brand new, some are with no box and others lacking a piece in the package. Nevertheless you can find good deals here. 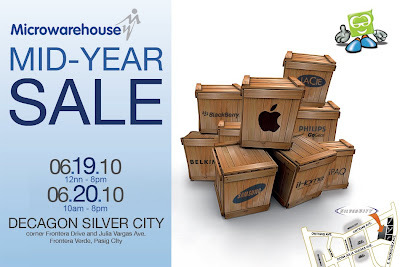 Don't miss it on June 19-20, 2010 (Saturday and Sunday) at Decagon Silver City in Frotera Verde, Pasig City. Be there early -- 12nn on Saturday or 10am on Sunday -- and catch the worms first! OMG! We're so excited! This saturday na.